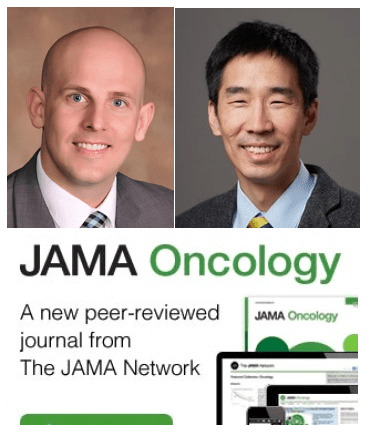 Multiple integrative oncologists question whether JAMA Oncology did the public a huge disservice in publishing the controversial data-mining, population-based research led by Skyler Johnson, MD and James Yu, MD, MHS. The study concluded that use of complementary therapies leads to shorter life spans. The New York Times was among the major media that posted the scare. I decided to foster collegiality and connected with the Johnson and Yu via email to seek to strike up a dialogue. I opened opportunity for an interview prior to publication. Because the ultimate goal is collegiality, I also suggested fostering direct dialogue by bringing Scott Mist, PhD, MAcOM, MS, MA, LAc, the statistician I’d interviewed, onto a call for a direct exchange. 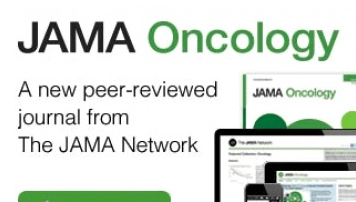 Therefore you will not be surprised at my interest in your recent publication in JAMA Oncology. 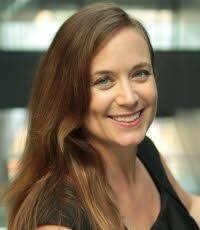 I began connecting with SIO leaders, and ONCANP for perspectives (including Heather Wright, who shared your correspondence). One suggested I get a stats review, given the oddness in the numbers. I did so, from Scott Mist, PhD, MAcOM, MS, MA, LAc. Mist is an assistant professor for anesthesiology and perioperative medicine [at] the Oregon Health Sciences University School of Medicine. 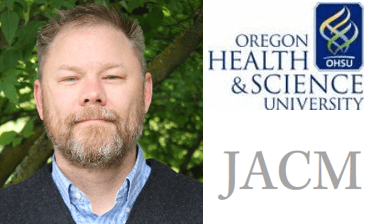 He also serves as the associate editor for statistics at JACM – Paradigm, Practice and Policy Advancing Integrative Health (The Journal of Alternative and Complementary Medicine) where I contribute as editor-in-chief. He sent me back the document with the 8 bullet points below. [Note: MIst’s document is appended here.] I would like you to have a chance to respond to these comments from Mist, which I plan [to] publish as is. I am planning a feature with a variety of materials on this that I will publish through my Integrator Blog News & Reports on Wednesday, August 15 – with specific pieces then re-published on multiple sites. I will subsequently be writing a column that will be part of the JACM Special Focus Issue on Integrative Oncology that will be a double issue published in September prior to the October SIO meeting. Lynda Balneaves, RN, PhD, the president of the SIO, is a guest co-editor of the issue. I have also interviewed her and Dr. Donald Abrams at UCSF, some [naturopathic] oncology specialists, and a leading consumer voice, on this piece. While I would like you to have a chance to respond before the Wednesday publication, I will particularly want to provide your rebuttal for the scientists worldwide who are our readers there. JACM, at 23 years of age, is read in 170 countries and is the longest running peer-reviewed and indexed journal in the field. Johnson (081318, 10:49 AM PDT, received by Weeks): Dear John – Thanks for reaching out. I’m a huge proponent of critical analysis of scientific work. The co-authors and I believe that these results strengthen the position of alternative practitioners and integrative oncologists, who recommend evidence based practices for cancer patients, by encouraging treatment adherence to proven therapies while seeking to improve patient quality of life. We would love to work with members of the integrative oncology community to test these findings prospectively. ‘[From the paper]: Our work demonstrates that complementary medicine and alternative medicine likely represent entities along a continuum, rather than being distinct entities. Though we consider complementary (or integrative) medicine to integrate unproven non-medical methods with conventional therapies, and alternative medicine as the use of unproven methods instead of conventional therapies,1 our work demonstrates that patients who undergo alternative medicine and complementary medicine are often behaving similarly in refusing treatment. As a result, like the alternative medicine patients2 (who do not undergo any initial conventional cancer therapy), CM patients are also placing themselves in an unnecessarily greater risk of death by refusing some conventional cancer therapy. First, your definition of “complementary” was – in the field – what is known as “alternative.” As you note, when those who delayed and refusal (a.k.a. chose “alternatives” to [conventional] recommendations) are removed, there is no difference. Perhaps more important: perhaps the majority of people who you classify as NOT using complementary care ARE in fact doing so. Virtually all of the surveys of complementary medicine use shows this. You in fact reference it. So how can you call your “controls” non-users of complementary medicine? Just because it doesn’t show up in an EHR or in clinical records, doesn’t mean the use wasn’t there. So your assumptions about your comparator are bogus, are they not? Mist (statistician, responding to Weeks regarding Johnson’s few comments, 081418, 7:32 PM PDT): At this point, I don’t have anything additional to add or ask. If he had specific answers to the questions then I would want to see them and see if there are follow up questions. Otherwise, that is all I have. Balneaves (SIO president, responding to Weeks on Johnson’s few comments, 081418, 8:32 PM PDT): [The authors] write: “Though we consider complementary (or integrative) medicine to integrate unproven non-medical methods with conventional therapies…” First follow-up would be that they have used an inaccurate definition of integrative medicine as per SIO definition recently published by Witt et al. (2018), in which integrative medicine does not utilize “unproven” interventions. They must be evidence-based. As such, they have an inaccurate interpretation of integrative oncology. Further to this, the very definition of complementary and alternative medicine means that patients DO NOT behave similarly, as they state. They either use them in conjunction with medical therapies, are they use them instead. So they continue to use inappropriate terminology and misclassify individuals. Complementary therapy patients by the very definition of “Complementary” do not refuse treatment! And there is no “likely” in the fact that they under ascertained complementary therapy use – every survey in the past 20 years has demonstrated that between 30-80 percent of cancer patients use some form of CM. As a result, their sample is not representative of the population they are generalizing to. Instead, it’s likely they captured the alternative medicine clients only, which are between 3-6% of cancer populations. As such, they are making incorrect generalizations. Further, I would love for them to address the theoretical plausibility of how some CM therapies identified, such as deep breathing, tai chi, etc are linked to “greater risk of death”? There was no nuanced analysis conducted to separate out alternative therapies from supportive care interventions. Given their very small sample, this would not have been that difficult. Comment: If conventional oncology was not frequently such a devastating killing you so you can live process, there would be no need for complementary therapies. There would be no patients suffering with adverse effects from treatment of physicians who believe their concerns go no further than the cutting, burning, and breaking down with toxins of their core treatments. But the killing characteristics of conventional oncology – such as the radiation administered by Johnson and Yu – are powerful. Need arose. Patients began seeking tools and care that would help them out, complementing the conventional treatment by finding ways to do what Johnson and Yu and their conventionally-practicing colleagues fail to do. The field of integrative oncology was born and nurtured by practitioners who believe their responsibilities include using such complementary therapies and practitioners to assist with the damage they wreak. There is a fascinating parallel here, in this non-response. Neither Johnson non Yu deigned to dignify the collegial arguments of Mist, Balneaves, Abrams and the Oncology Association of Naturopathic Physicians with respectful collegial response. Without such a response, the challenges stand. And meantime, the damage wreaked in the media and public perception on the option of complementary therapies by the extractive work of these radiation oncologists goes unaddressed. Is it too much to suppose that they are accustomed to living with collateral damage? Here’s to an era of actual collegial respect.